Boxer™ Box Shelving | Fredon Handling, Inc.
Superior box construction for greater strength and supporting power. Clip-Type assembly for fast, easy set-up. 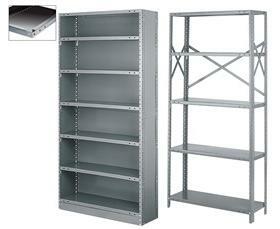 Boxer Shelving delivers more support for less cost than any other shelving in the industry. 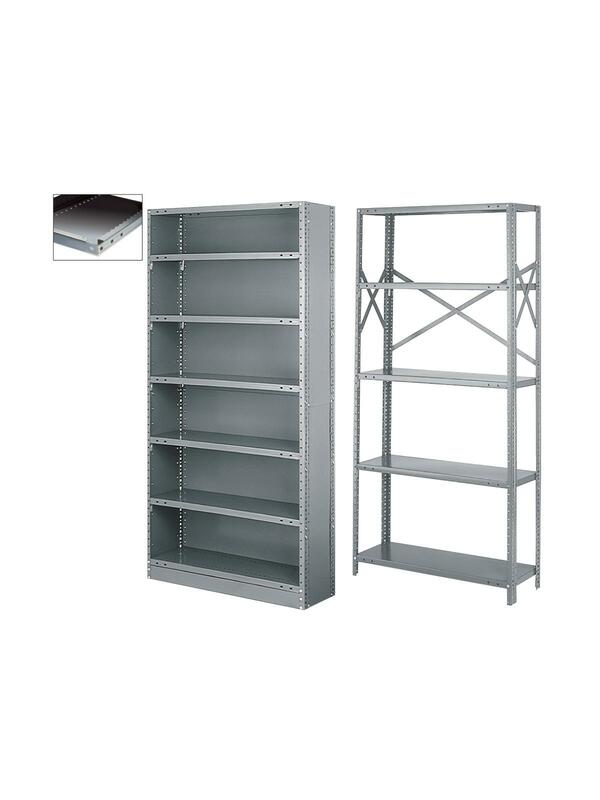 Features full welded box formation in front and back of shelf and shall have formed channels on both ends. Corners are fully lapped for extra strength. Available in 22 or 20 ga. shelves. Rugged and sturdy 14 ga. uprights allow for 1-1/2" shelf adjustment. Closed units feature 24 ga. back and end panels. Includes sway braces. Gray, baked-on enamel finish. FOB Shipping Point. Medium duty - 22 ga.
36 x 12 x 73"36 12 73"